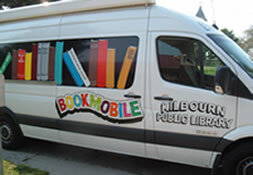 National Library Week, April 7-13th is an annual celebration highlighting the valuable role libraries, librarians, and library workers play in transforming lives and strengthening our communities. 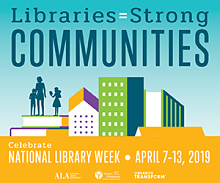 This year's theme Libraries = Strong Communities, illustrates how today's libraries are at the heart of our cities, towns, schools and campuses, providing critical resources, programs, and expertise. They also provide a public space where all community members, regardless of age, culture, or income level, can come together to connect and learn. Stop into the Kilbourn Public Library all week for puzzles, trivia, poetry scrambles, free giveaways, and more!